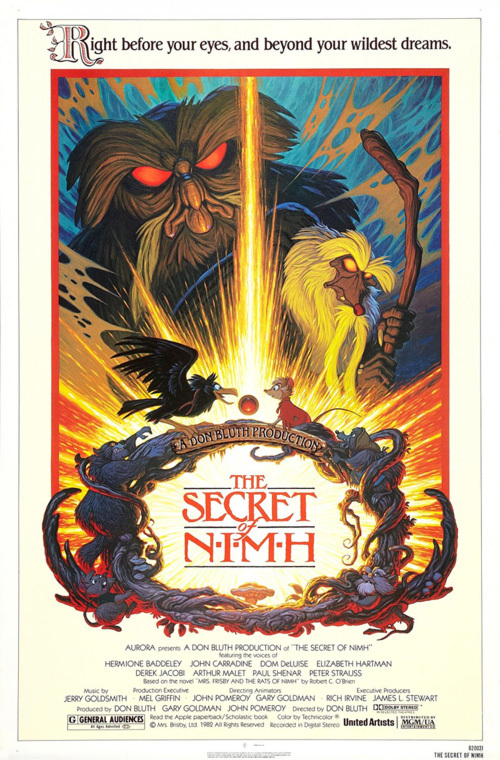 Today is the 30th anniversary of the release of “The Secret of NIMH” which was released on July 2nd 1982. The first feature film from animation legends Gary Goldman & Don Bluth. 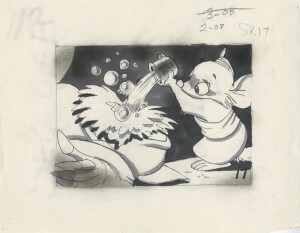 I contacted Gary to ask him all about the production of The Secret of NIMH. Enjoy this exclusive interview with one of the creators of this animated classic film. 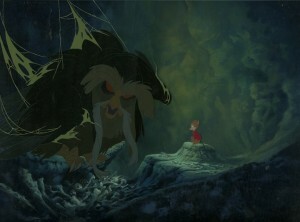 Question: What about The Secret of NIMH, that you feel has left a lasting impression after all these years? Gary’s Answer: It’s pretty amazing. I run into so many people that name The Secret of NIMH as their favorite animated film of all time. The premise came from a Newberry Award winning youth novel, Mrs Frisby and the Rats of N.I.M.H. At the time, that we were introduced to the book, it was mandatory 5th grade reading material in most schools in the US. It was a good story about a widowed field mouse whose youngest child was stricken with pneumonia. It starts with a simple conflict. It is the end of winter and the farmer would be plowing the field soon. Every spring, the field rodents would move from the field back into the wooded areas, to protect their families from the annual plowing and planting. Widow Frisby spent the winter with her four children in a cinder block near a large stone in the middle of the farmer’s field. In her quest to get her youngest child well and escape the terror of the farmer’s tractor and plow she uncovers a secret. A colony of rats that live beneath the farmers property. Rats that had been captured from the city streets and taken to place where they were experimented on, which made them smarter. They escape and now are dealing with the politics and moral issues of their life style, stealing from the farmer, grain from his barn and electricity from his house. The book just sucked you in. And, we think that the movie did too. I think that the sincerity of the film and the message connects with the audience, and I believe it will still connect decades from today. When we left the Disney organization, we told them that we had done our best to try to bring back the meaningful stories and production values that made those classic Disney films so wonderful. But, that we felt it necessary to leave the company and make the effort from the outside, and maybe, just maybe the competition would convince them that they had to get back in the game. Sounds a bit over-confident, even arrogant, but at the time we meant it with great sincerity. 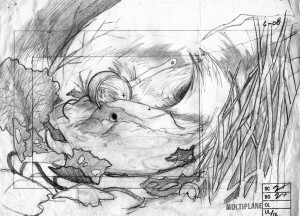 However, I hear so often from friends in the industry that our departure from Disney, the fruit of our efforts, and because that film made a huge impact and helped usher in the renaissance, a second golden age of animation in the eighties and nineties. In a way, it was a huge sacrifice to make the point. But, it’s been worth it. Especially, the fact that the film seems to hold up after all these years. Question: Do you remember where you were the day the film was released nationwide? What you were feeling? Gary’s Answer: It was a Friday. 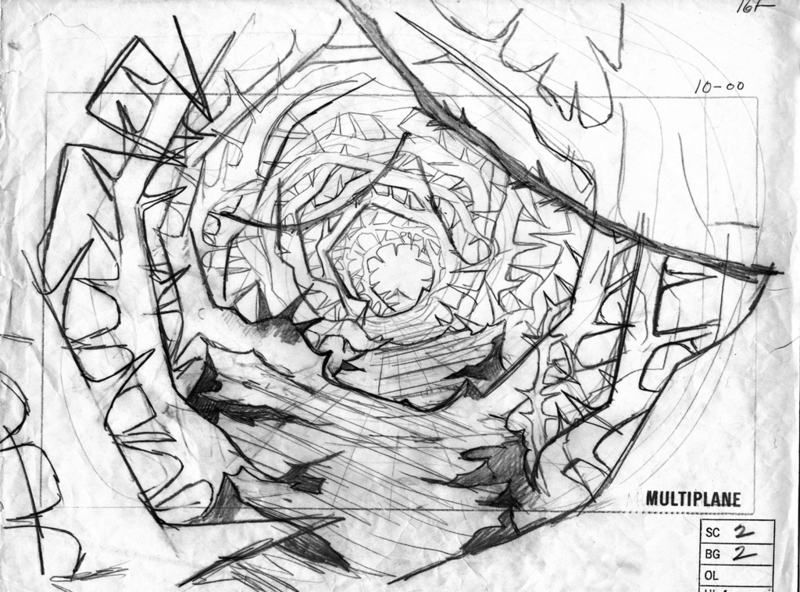 During the day, we were working on our second feature film, East of the Sun : West of the Moon. That evening, Don, John, his wife Lorna, Dorse & Vera Lanpher and I went to the Century City Theaters for opening night. It was on the Avenue of the Stars in Century City, California. We went there because MGM/UA said it was their premiere theater of choice and they had provided Klieg lights outside the theater. A reminiscent concept of old Hollywood premieres, but there weren’t lines of limousines dropping off celebrities, dressed to the nines to see the film.The theater was only about 65% full. Don, John Dorse & I didn’t sit down. The four of us stood behind the half-wall that divided the last row of seats and the doors into the theater. We watched and listened through the entire film from that position. We went out near the lobby during the credits. When the audience came out, we were surprised to see several of the young Disney animators come out. They seemed to be surprised to see us standing there. There were no exchange of greetings, just nods of recognition. You mentioned a national release. It wasn’t released nationally at first. The release was what MGM/UA called a “roll out campaign”. It opened in only 127 theaters on the west coast, including California, Oregon, Washington, Arizona and Hawaii, with very little promotion. Though, the film got a lot of press from the critics and columnists that had followed our departure from Disney. Then, over the next 2 to 3 weeks it was released in a progression across the country, with a total of around 670 theaters by the time it reached the east coast. Definitely not a good start. 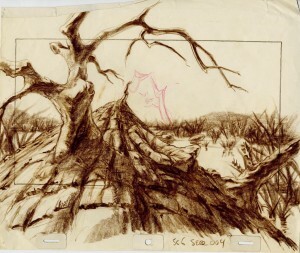 Question: You Along with Don, John Pomeroy & several other animators left Disney to apply the lost classical techniques that had fallen by the wayside at Disney for budget reasons, without the stewardship of the retiring nine old men you had at the Disney studio… what (if any) during the production problems that stumped you? (or had they all been figured out in the making on “Banjo“) were there any moments of doubt or panic? Gary’s Answer: As you are aware, we didn’t have access to all of the “nine old men” during our careers at Disney. However, in the first 6 years we did have access to Eric Larson, as the designated Mentor for new trainees. I was privileged to work as Frank Thomas’ inbetweener and assistant animator for my first two years there. 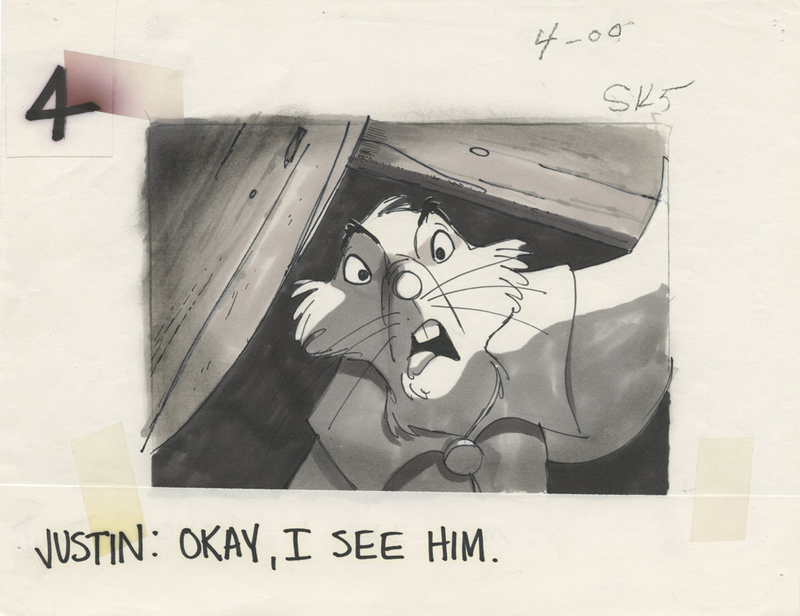 Also still animating were Ollie Johnston, John Lounsbery and Milt Kahl, whose office was right across from the office I occupied, and Don and John were just down the hall. Woolie Reitherman was directing and producing the features. 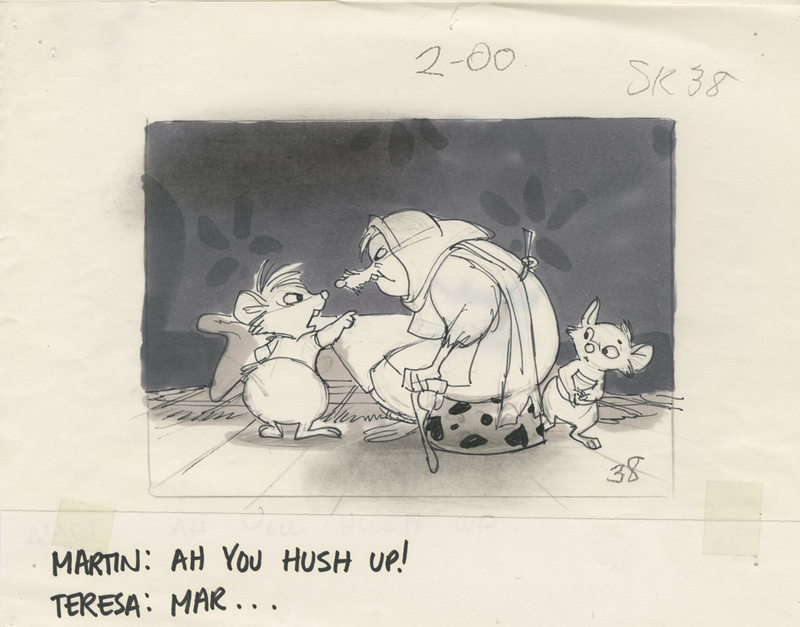 Marc Davis was at W.E.D. designing for the parks. Ward Kimball had retired the same year I that I started at the studio. 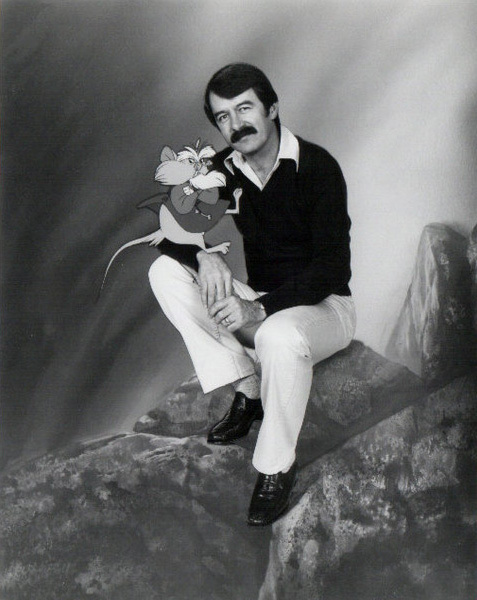 Les Clark was no longer in the animation department, but officially retired in 1975. Frank and Ollie were easy to go to guys, so was Lounsbery, but many of our questions were about special effects and unique camera scene planning. Banjo the Woodpile Cat was a real educational period. 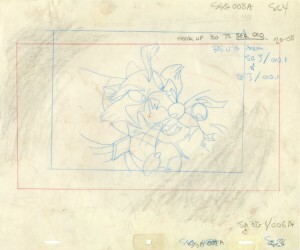 The theatrical short was just over 27 minutes long (actually 27:02). And, it took four years and seven months to complete – working nights and weekends while working days at Disney. 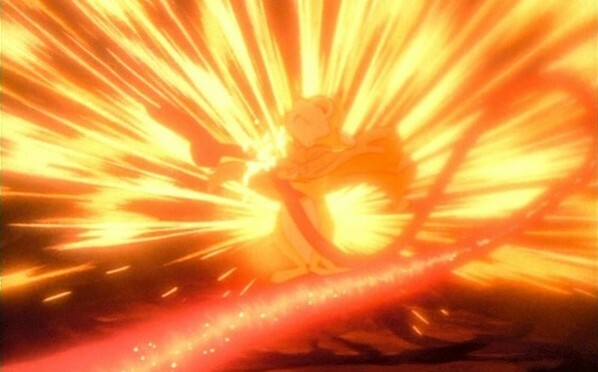 Many of the special effects’ techniques we rediscovered while working on Banjo really helped our efforts on NIMH. What was really scary was making our scheduled weekly footage, in all departments. The key to staying on schedule is achieving weekly footage goals, creating sufficient inventories for each department in order for them to make their weekly goals. Without the right amount of inventory in each department, there was no way for the departments to make their goals. So, yes some panic. There were a lot of moments of tense discussions and many times tears. But, everyone was pumped and gave their all to get the production done, and with all the bells and whistles we were trying to achieve. And, YES actually, there was serious panic, but never a doubt on what we were trying to do. Panic happened weekly, even daily, with solving bubbles or bottlenecks in the system, scenes held up in different departments, sometimes because of difficulty level, multiple characters, multiple effects levels, various issues that caused inventory delays. When you don’t meet a weekly goal. It has to be made up within a few weeks, or it will grow into a really big problem, delaying the delivery of the film. 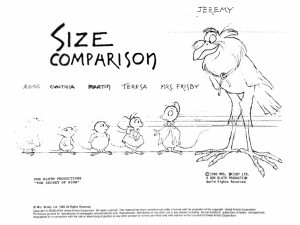 Question: How & why was the decision to make a animated feature film based on Robert O’ Brien’s “Mrs. 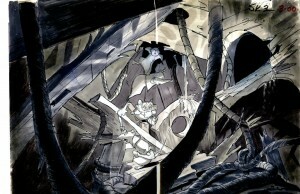 Frisby & the Rats of NIMH”? Was there any of stories considered early on? Gary’s Answer: There wasn’t a list of stories that we were contemplating. The opportunity came when we least expected. It was mid 1978. Don had asked the then CEO, Ron Miller if he’d like to see our garage project, Banjo the Woodpile Cat. Ron said he had no interest in seeing it. Well that pulled the enthusiasm rug out from under us. We had hoped that the studio might like what we were doing and agree to buy the film and allow us to finish the short film in the studio, which would allow us to recoup what we had spent in terms of money and the many hours that we and the other members of the team had invested in the film. The main reason we were making the film was to gain skills in other areas of the production process, which were not being addressed at Disney in their animation training program, which we felt we needed if we were to be ready to lead when the last of the old guard retired. It was just before this event that Ken Anderson, legendary layout artist, character artist and storyman, brought the book of Robert O’ Brien’s Mrs. Frisby & the Rats of N.I.M.H. to Don. He told Don to “read the book, and when you guys are in charge, I think you should make this movie!” He said he had brought the book to Woolie’s attention, and was shot down. He said Woolie just told him, “We’ve already got a mouse.”, referring to Mickey Mouse, “…and we’ve done a mouse movie.” ,referring to The Rescuers. He asked what story would we like to tell? I told him about Mrs. Frisby and the Rats of N.I.M.H. and the pitch from Ken Anderson. We didn’t plan on this call. We hadn’t planned a list of stories that we wanted to produce. So, thanks to Ken, we had an answer to the question. 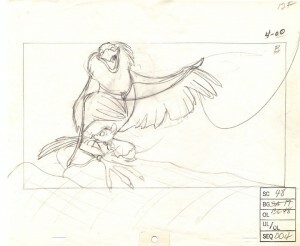 NIMH would be our first independent feature film. Question: The voices are such a perfect fit for the characters, how did you go about casting for the characters voices? 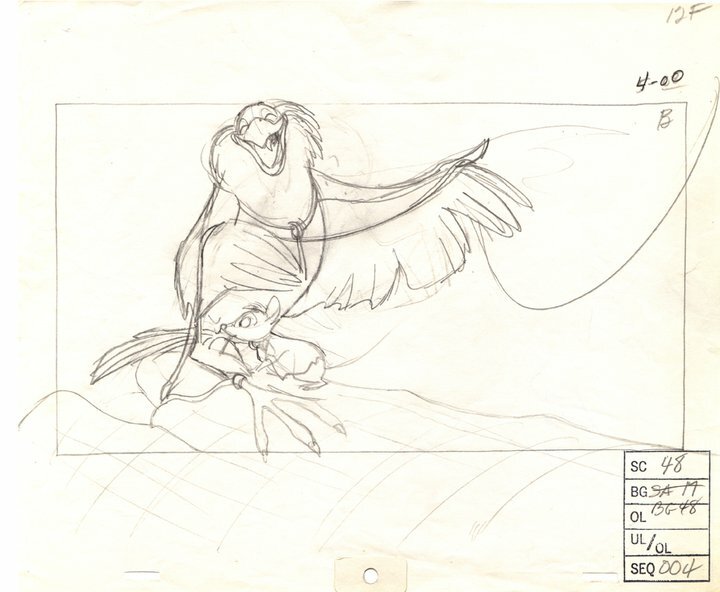 Gary’s Answer: Casting the actors to play the NIMH characters was exciting, fun, and sometimes strange. And, actually the first was one of the strangest. All three of us were at home watching the film, The End, starring Burt Reynolds and Dom DeLuis. All three of us thought that Dom DeLuis would be perfect for Jeremy the Crow. I called Don. His line was busy. So, I called John. His line was busy.I tried to call Don again. His line was still busy. It took 40 minutes before we connected. All three of us were trying to call the other two with the idea of using Dom to do Jeremy. Finally John and Don connected, and I eventually got hold of Don. A bizarre moment and funny moment that we’ll never forget. We were thinking of actors, that not only would fit the part, but also that they some celebrity, just thinking of commercial value, in that they would be fairly easy to get on various talk shows to help promote the film when it was time to release it to theaters. Elizabeth Hartman was perfect. All three of us were familiar with A Patch of Blue, the 1965 film, in which she played a blind girl with Sidney Poitier, a role in which, she was nominated for an Academy Award. Her performance in that film was so believable and sincere that we all felt that she was right for the part. For Nicodemus, John (Pomeroy) recommended I Claudius star, Derek Jacobi from the 1976 TV mini series. We also remembered another popular 1976 TV mini series, Rich Man Poor Man, and felt that Peter Strauss would be a good choice for Justin. All of these people are very good actors and their voices unique from each other and interesting, The dark, powerful voice of Paul Shenar got our attention, we sought him out and cast him as Jenner, and the Shakespearean-trained actor, John Carradine was perfect for the dark, ominous Great Owl. Aldo Ray also had a great distinctive voice. We cast him as Sullivan. (Side note on Sullivan, and a lesson learned, we never said his name in any of the dialogues within the film. It wasn’t till after the release of the film that we realized that the audience never hears the character’s name. And, he had a pretty important part in the story, redeeming himself of being involved with the conspiracy by killing his villainous partner, Jenner.) 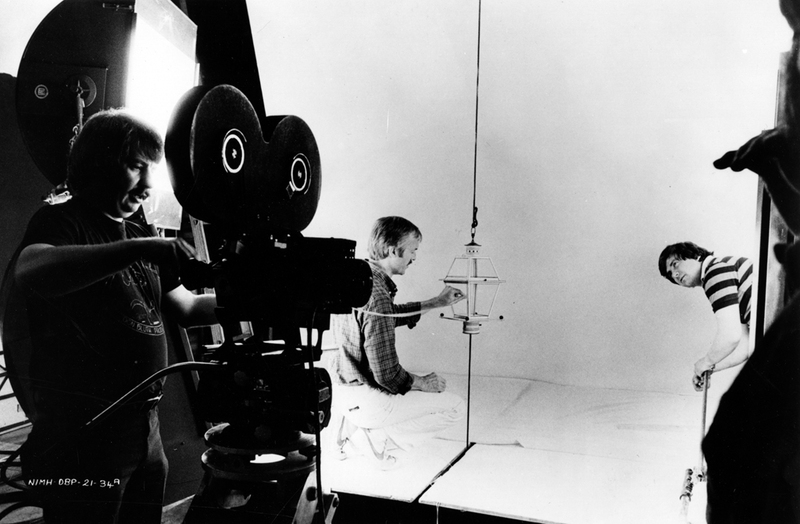 The idea of using voices that contribute texture to the film, like the delicate voice of Elisabeth Hartman against deep baritone voices of Paul Shenar or John Carradine was part of our philosophy in the details of making a film, focusing on each individual character’s characteristics, their voice and acting ability was key. Question: On personal level, what was your favorite part of the production? Gary’s Answer: That’s a good question. And, it’s difficult to pick just ONE favorite part of the production. An important one for me was helping to train young artists, and watching them grow into their roles for the team. This was a big deal. And we wanted so much for the film to be special. It was an exciting time for us. I think working with Jerry Goldsmith, becoming friends and attending the scoring sessions in London with the London Philharmonic Orchestra was very special to me. And, second to that was supervising the final dub with Jerry and a great sound designer, David Horten was something I will never forget. 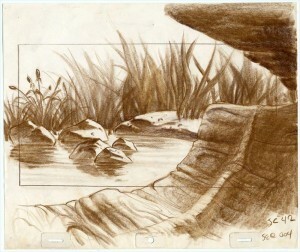 He worked for year on the sound effects for the film, and some of his most beautiful efforts had to be edited to make room for Jerry’s score. I remember hearing David’s orchestration of ambient sounds and specific sound effects for the 8 minute tractor sequence without Jerry’s music cue. It was amazing. But then, so was Jerry’s 8 minute music cue, it remains extremely powerful. We were able to combine a lot of David’s sounds, treating them like part of the orchestra. It came out great, but I couldn’t help but feel empathy for David. Strange how the crew becomes an extension to your personal family. Also, looking back, the art direction was tightly controlled, which Don carefully supervised himself, with just three background artists, Don Moore, Ron Diaz and Dave Goetz – Three artists doing almost a thousand backgrounds in less that two years is just amazing! 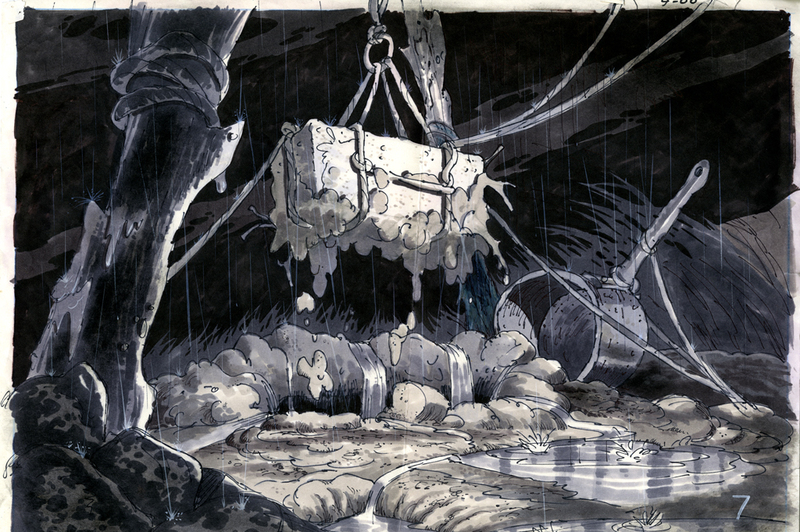 A fourth background artist, Bill Lorencz, who had shaded much of Don’s story panels, jumped in to help finish the backgrounds during the final push, painting most, if not all of the art in the end credits. Question: What was your favorite scene in the movie? Question: Was this the last time you actually animated? What parts did you animate? Gary’s Answer: It was the last time for a while. 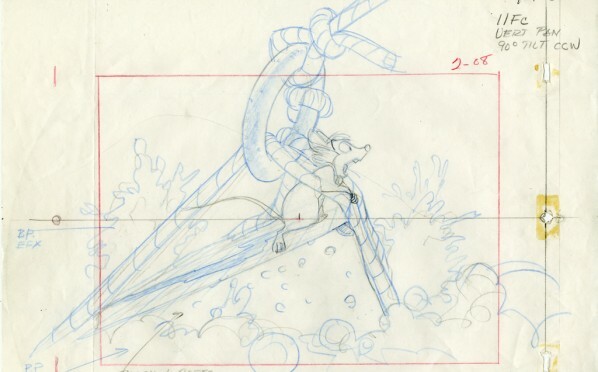 I worked on the opening sequence with Brisby going to Mr. Ages to get the medicine for Timmy, the scenes with her and Ages in the thrashing machine, going down to Ages’ laboratory in the basket, in the laboratory, in the Brisby home, feeding Timmy the medicine. 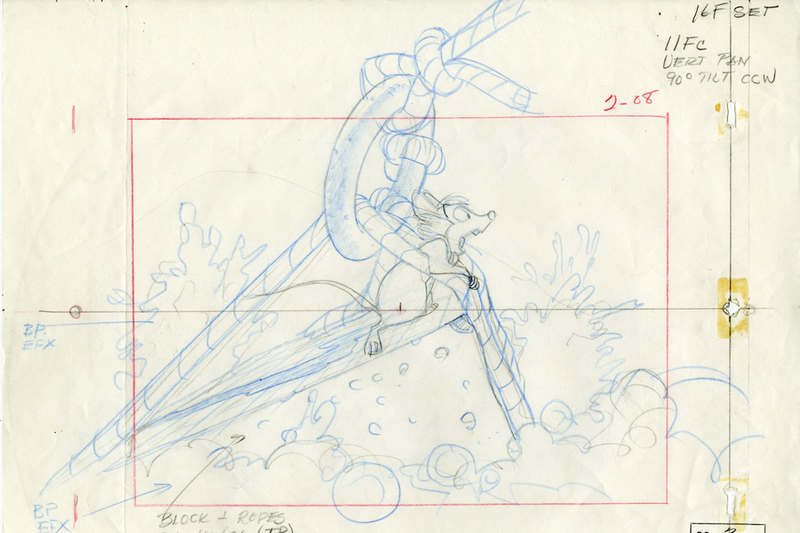 I animated Brisby in several shots in the Great Owl sequence. Scenes in the rosebush, going down to the rats. Actually scenes throughout the film, including the final rescue of the Brisby home. 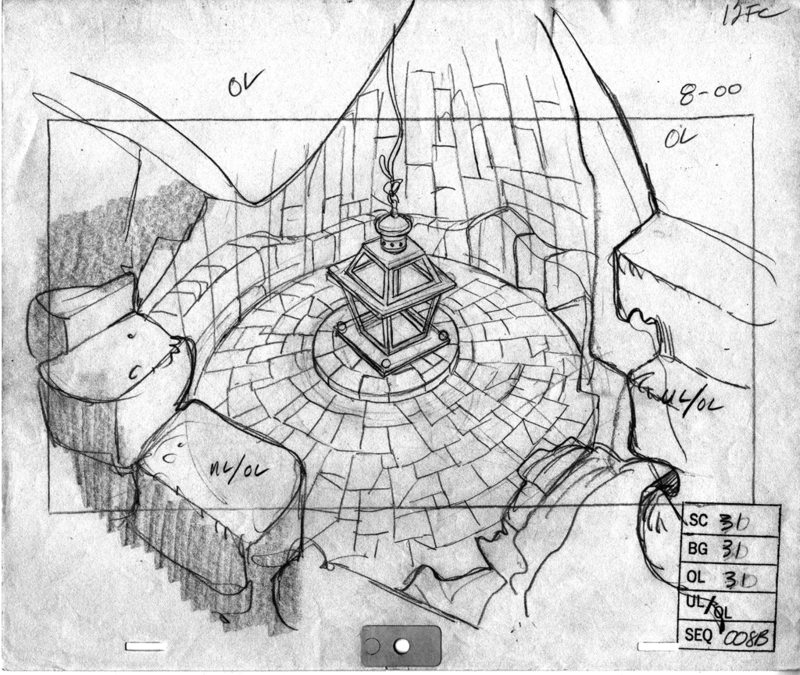 I also did the math on the scene planning for most of the camera moves in the film. The last film I animated on was The Land Before Time. It was a scene with all five of the baby dinosaurs covered in tar. I pretty much sacrificed my animation career to concentrate on producing, dealing with the agents of the actors and composers, supervising final sound mixes and eventually co-directing with Don. Question: It’s widely regarded as your finest film, why do you think that is? Was it the energy of youth & desire? Gary’s Answer: Probably all three of those. I think maybe because this was a period before we lost our innocence. We were young, naive, enthusiastic, with a mission to do something that could be a classic. Make an endearing movie that hopefully would touch the imagination of the child in all of us, from 8 to 80. 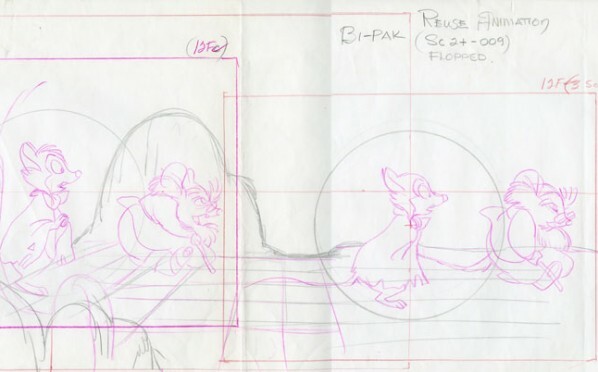 We also wanted to prove that with inspiration and perspiration we could revive some of the lost production values established by Walt Disney’s master animation crew from the mid-30s thru the forties and up to and including Lady & the Tramp in the mid-50s. 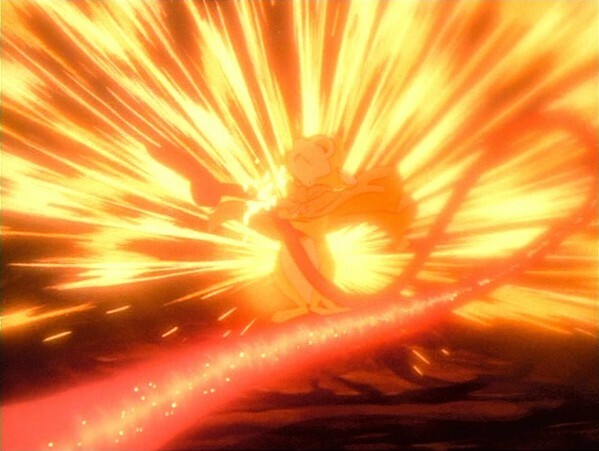 Question: The film had definitely inspired a generation of artists, who pursed animation in the following decade in the so called second golden age of animation. When did it ever occur (moment) to you that you made something special that would endure over time? Gary’s Answer: That would endure over time??? Yeah. Actually, I believe we thought that was what we were making. We felt we were making something that would jolt Disney back into being Disney, and start the second golden age of animation. Part of the box office failure I believe is when MGM/UA and our executive producers wanted to move up the release date from the end of August to the 4th of July. Released on that date buried the film among the 1982 blockbuster films released that summer, films like E.T., Poltergeist, Rocky III, StartrekThe Wrath of Khan, Blade Runner, An Officer and A Gentleman and The Best Little Whorehouse in Texas. Disney also re-released Bambi (June 4, ’82). 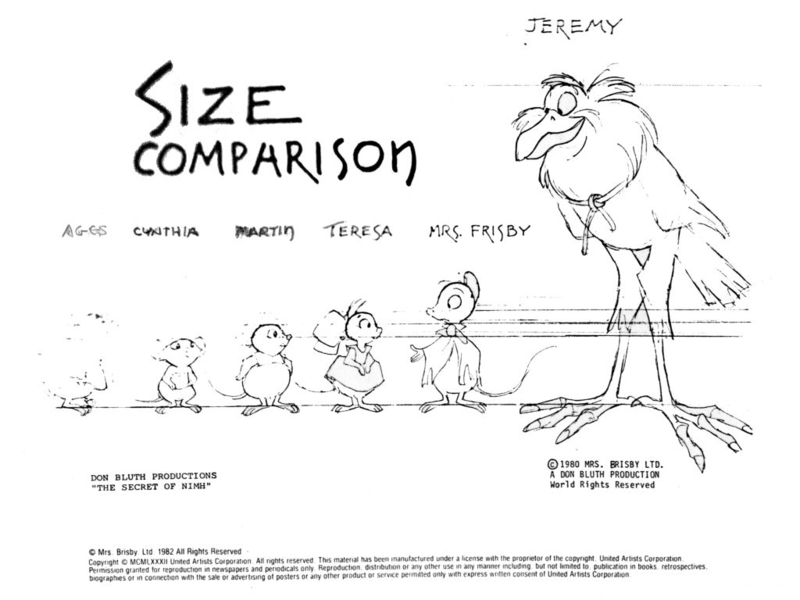 We believe that NIMH‘s original late August release date would have had less competition and a better box office result. Of course, we thought the film was special when we finished it but, I think that the final realization has come over the past two decades when the press and/or the blogs on the Internet keep talking about the film as one that endures the test of time. And that is much appreciated. 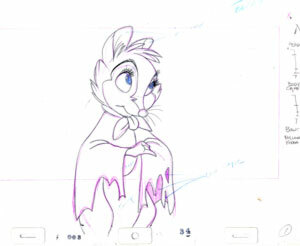 Question: Traditional animation is in rough waters currently, You made the film with small budget & tight working schedule that saved/preserve Classical animation the past 30 years, what will it take for another film like Secret of NIMH to continue the art of hand-drawn animation for the next 30? Gary’s Answer: Well, I’m not sure it lasted a full 30 years. 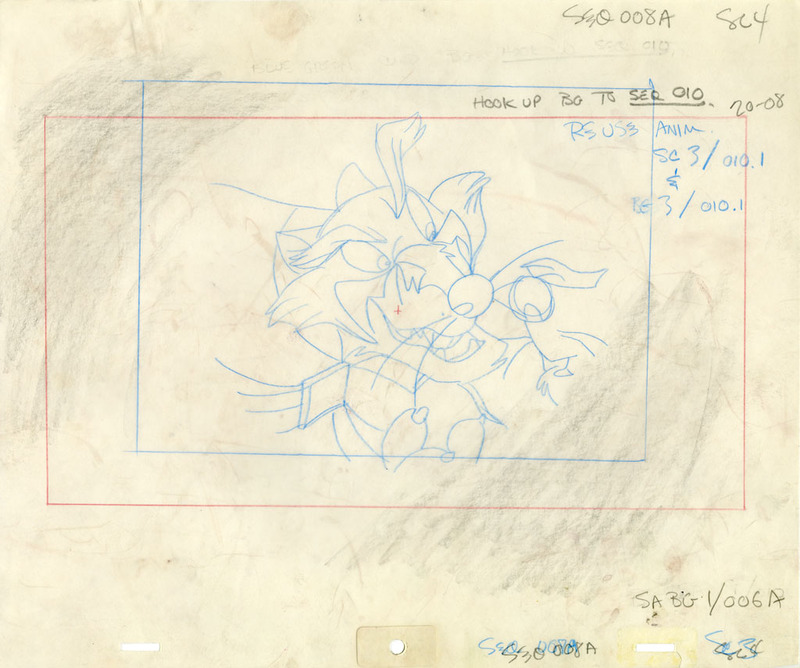 However, traditional animation did continue for another 20. But honestly, I believe that with the right story and a good budget, with top animation staff involved, another traditional, hand-drawn animated film could be a major success, re-introducing that art form and be the spark needed for the medium to get moving again. It’s about telling a good story, attracting and entertaining an audience. 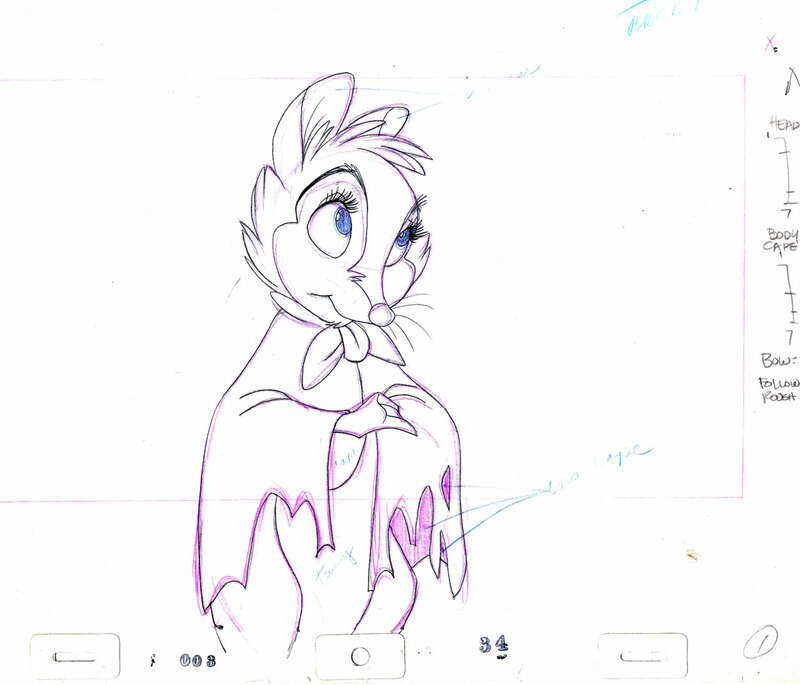 Question: Will we ever see another Don Bluth & Gary Goldman film? Gary’s Answer: I certainly hope so. That’s what I’ve been working towards, acquiring film rights to several properties with some great stories. Site Updates! 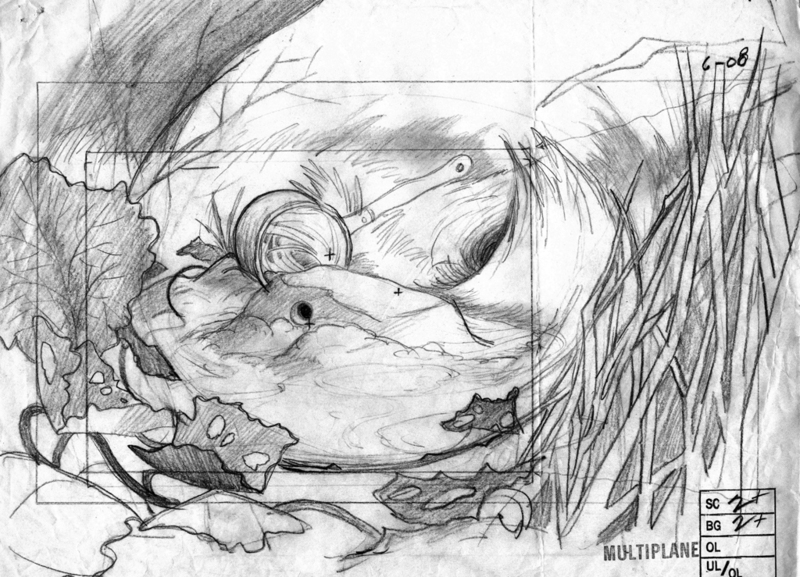 New Model Sheets, New Metronome & More! Dragon’s Lair: The Movie Kickstarter is LIVE!! Very interesting interview! Great photos as well. Thank you! 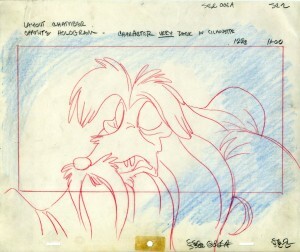 It is good to hear from Gary Goldman after 30 years of Secret of Nimh. It is still my number 1 animation movie, even after 30 years. 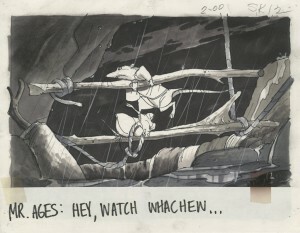 I am a HUGE fan and collector of Secret of Nimh (pre)production art. Hope to see more! Wonderful interview! 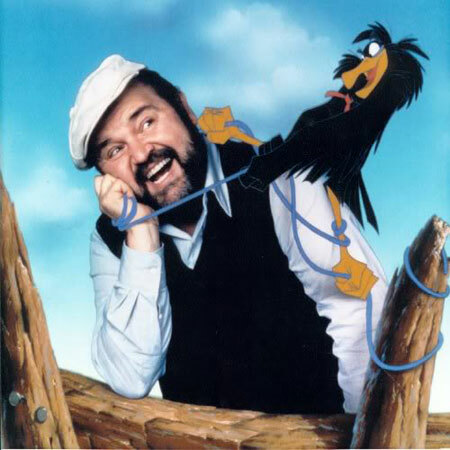 This man Is great Animation legend! 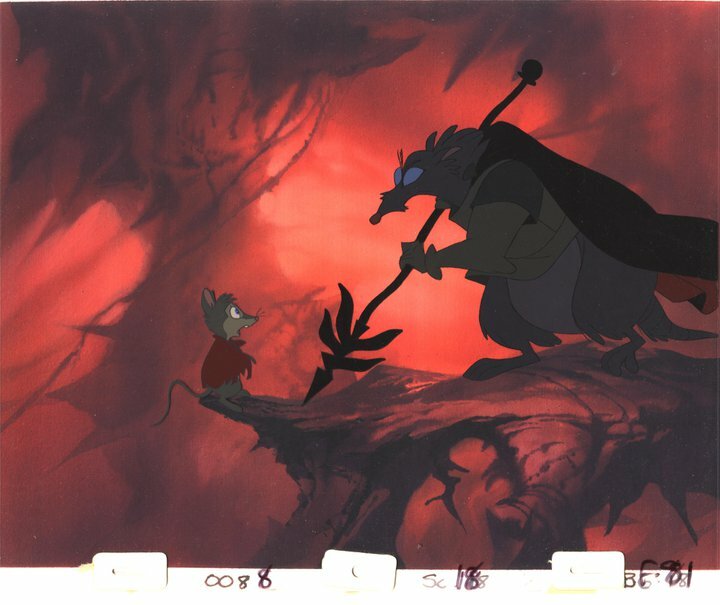 Nimh is the best movie quality animation, the story, the colours, the atmospheres. the top level in each points. Wow! I love this! I don’t know if you guys are aware or not, but I do plan on releasing a “Remixes of NIMH” album in early January of 2013! It will be an exciting remix album!! 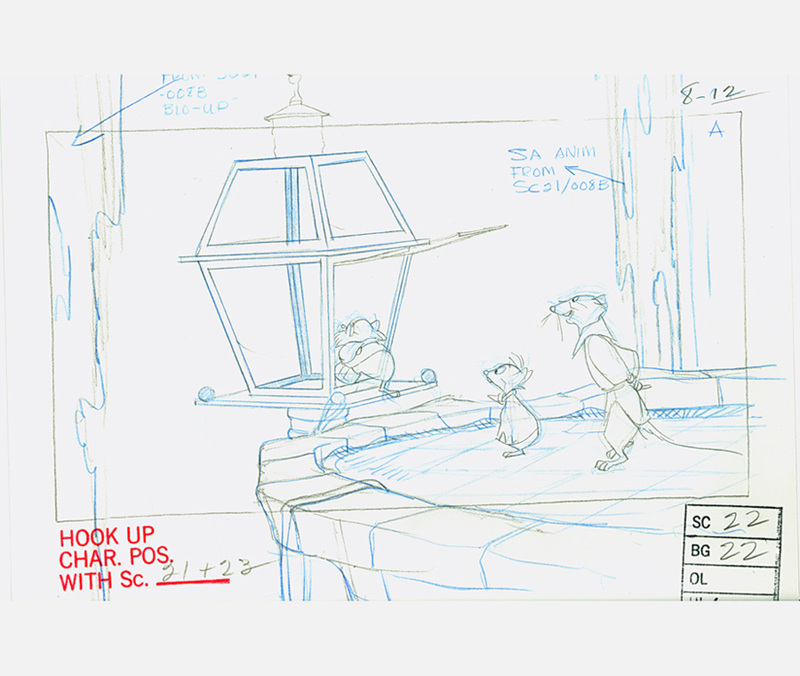 The music will be created out of dialogue, chords, and SFX from The Secret of NIMH combined with different genre elements. 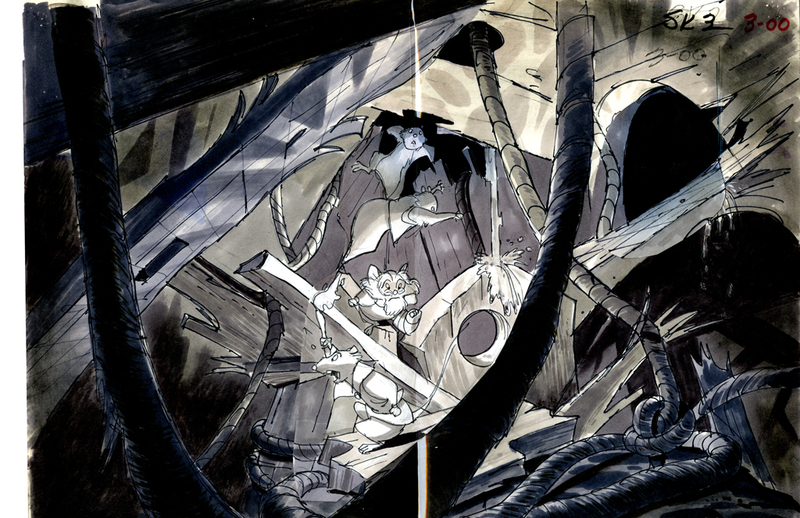 If you’re a NIMH fan, you’ll won’t want to miss out on this one!! Wonderful interview. To Gary, thanks for all the great animation and memories. Keep it up! Great interview! Thanks for doing it.